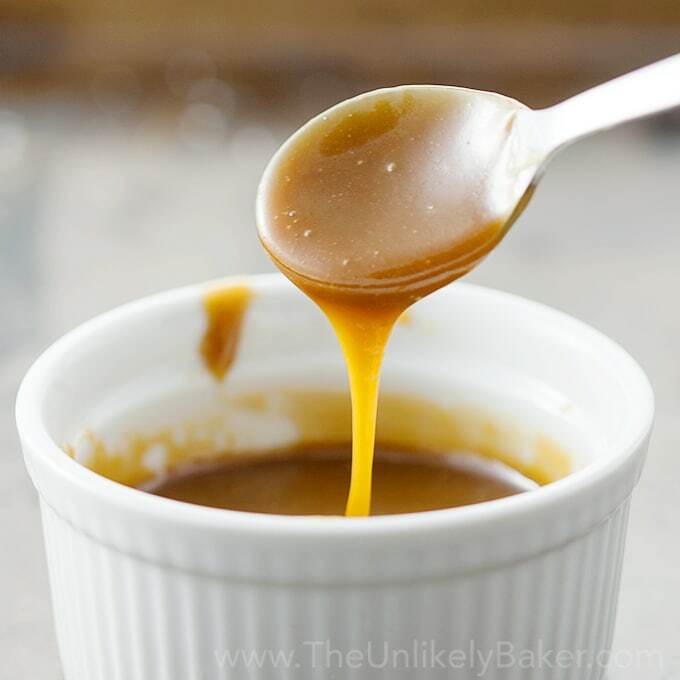 This delicious salted caramel sauce recipe is perfect for when you don’t need a whole jar. Fill a dozen cupcakes, drizzle on top of ice cream or just satisfy your salted caramel craving in a snap. I was never a big fan of caramel. I just found it too sweet for my taste. And having memories of caramel candy getting stuck to my teeth for hours (I had braces too!) certainly didn’t help. But a recent trip to San Francisco to visit my best friends changed all that. I was introduced (read: coerced, as best friends tend to do to each other) to salted caramel and that changed everything. When I landed, my lovely hosts were immediately talking about how they needed to bring me to this famous ice cream shop so I can try their best-selling salted caramel ice cream. Them: Do you like salted caramel? So off we went to get ice cream I didn’t really want in the middle of a cold, breezy San Francisco night. The result? The salted caramel ice cream was divine. It’s not the caramel I knew (and disliked) at all. I was sold. Thank God for best friends, eh? So back home I started looking for salted caramel everything – cakes, cupcakes, cheesecakes. But I knew everything started with the sauce. The salted caramel sauce was the key to everything. It involved the stove though. And you know I try to avoid it if I can. This recipe is a put-everything-in-a-pot kind of recipe however so I put my stove anxieties aside and just did it. It does involve hot (hot – worth repeating) sugar so extra careful, I was. Apart from that making this salted caramel sauce is a breeze. All you need is a pot and something to stir the sauce with (I prefer a wooden spoon). You’re done in less than 15 minutes. And it is so good. Another thing I like about this recipe is it doesn’t yield a whole bucket of sauce. 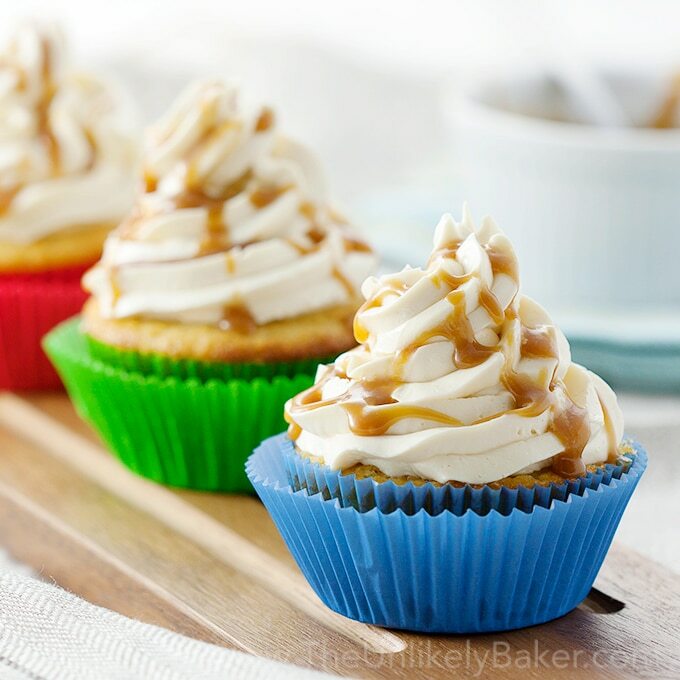 It’s just about a third of a cup so it works great if you only need a small amount to fill your cupcakes with, or to drizzle on top of your ice cream, or just simply to satisfy your salted caramel cravings. It hardens over time and I can imagine the difficulty of dealing with a jar full of hard, sticky salted caramel sauce when all you need is a teaspoon. 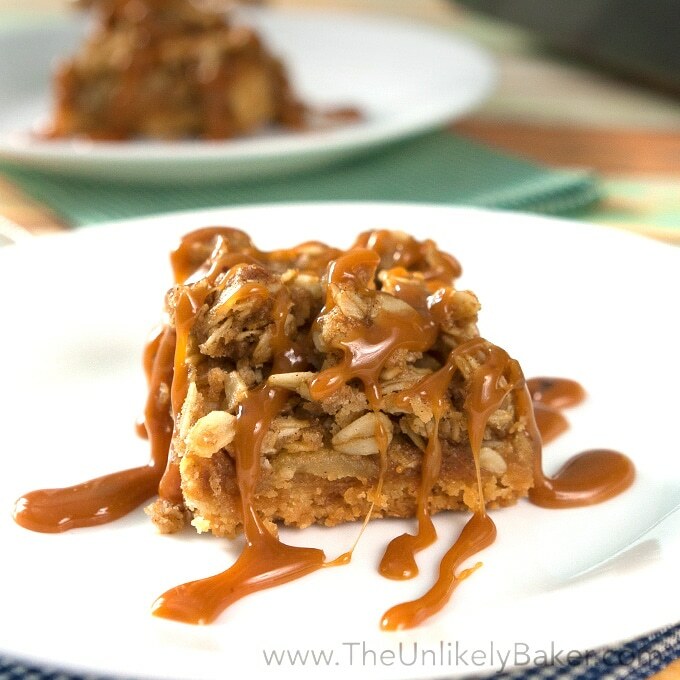 So whether you’re a lifelong salted caramel fan, a recent convert like me or not into caramel at all – try this recipe. 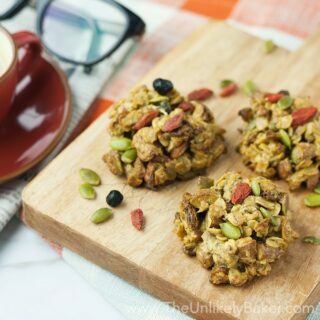 It is remarkably easy to make and seriously addicting. Whisk together all your ingredients (except the vanilla) in a heavy-bottom saucepan on medium-high heat and bring to a boil. Bring down to a simmer and whisk until it thickens (it took me about 13 minutes - but make sure not to thicken it too much; it will continue to harden as it cools). Once thick enough, whisk in the 1/4 teaspoon vanilla then remove from the heat. Very carefully pour the caramel into a heatproof container. Allow to cool slightly before using (remember: hot sugar!). The sauce will harden as it cools. However, you can just pop it into the microwave for a few seconds to soften it up again. 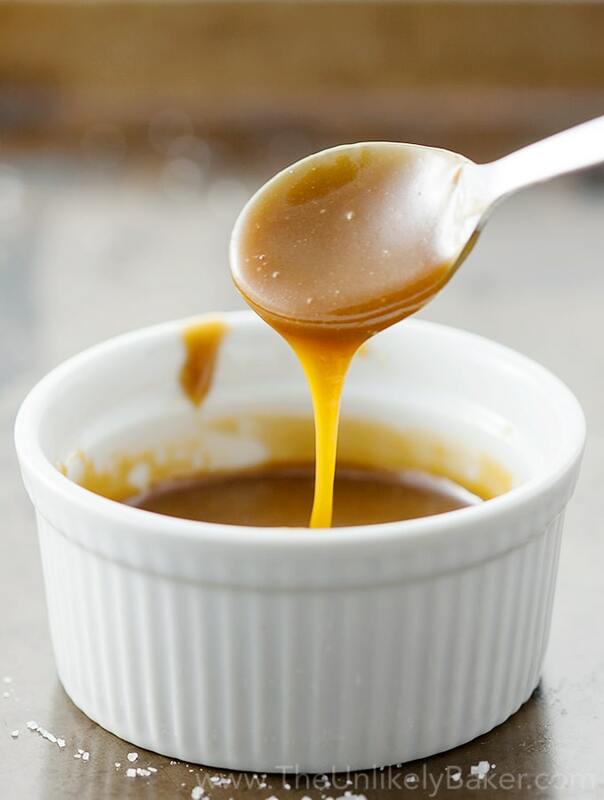 Did you make this salted caramel sauce? Tell me about it in the comments section below. I’d love to hear all about it. Mine turned out a little grainy. Any suggestions? Hi Kristeen. My guess would be the sugar didn’t have enough time to dissolve. You might try to lower the temperature. Salty and sweet together, I am in! Would be great on vanilla ice cream. MMm the color you got on this is gorgeous! Pinning! 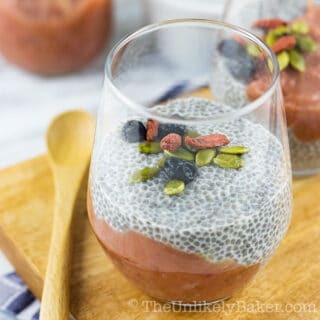 oh this looks so divine! I could just eat this by itself with only a spoon involved! Is that wrong?? Pinning and sharing on facebook! Not wrong. We have a whole group doing it like that lol! Thanks Sharee! Yum! I know a lot of things I could pour this on! 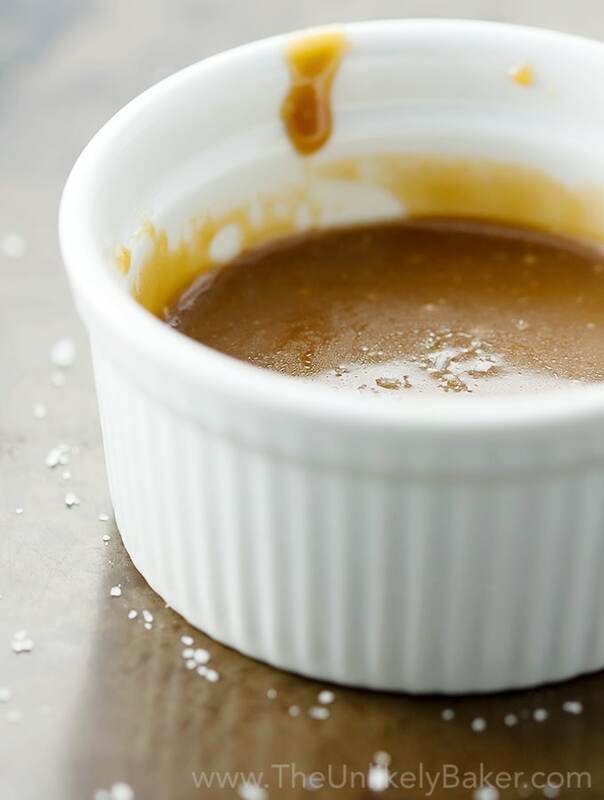 Salted Caramel is so good…and this sauce can be used on so many things. Yummy!! I want to put this sauce on everything! I am obsessed with salted caramel, but I have never made it myself. I need to make a batch pronto so i can drizzle on my iced lattes in the morning. So tasty ! yum! I can think of so many things I would like to drizzle this sauce on. Yum. Oh hahaha me too! Thanks Catherine! That was exactly what I intended – just make what you actually need. I didn’t want to deal with a whole jar of it. 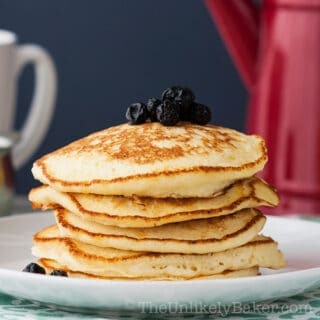 And it’s so simple to make that you can just make another batch. Hope you try it! Oh absolutely. Especially with the weather getting warmer – perfect! 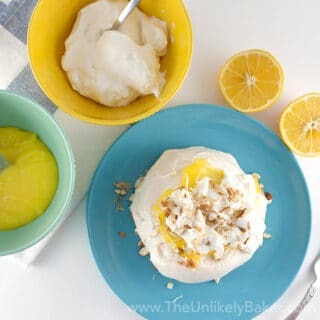 Thank you so much for a quick and easy recipe to solve our craving – love sweet / salt combo! Hope this makes a convert out of you too 🙂 Thanks for passing by Cynthia! YUM! This would be good on so many things! 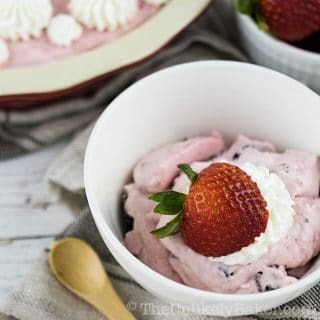 Cookies, brownies, strawberries, ice cream….so many ideas! This looks so amazing. Am I allowed to just eat it with a spoon? Bookmarking to try soon. I know right? I love that it saves me from doing math while I’m already busy baking lol. Hope you find it useful! 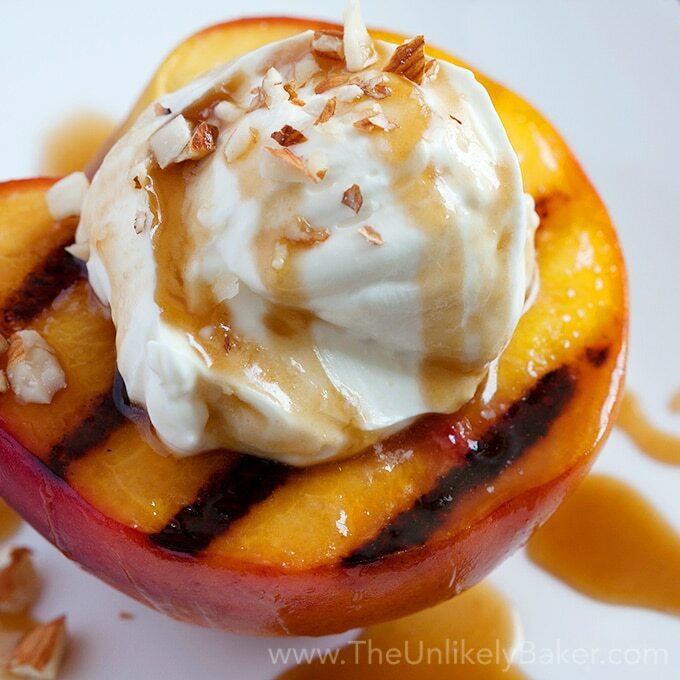 If you’re already a fan of caramel, I think you will like salted caramel too! Thanks for stopping by Priya! 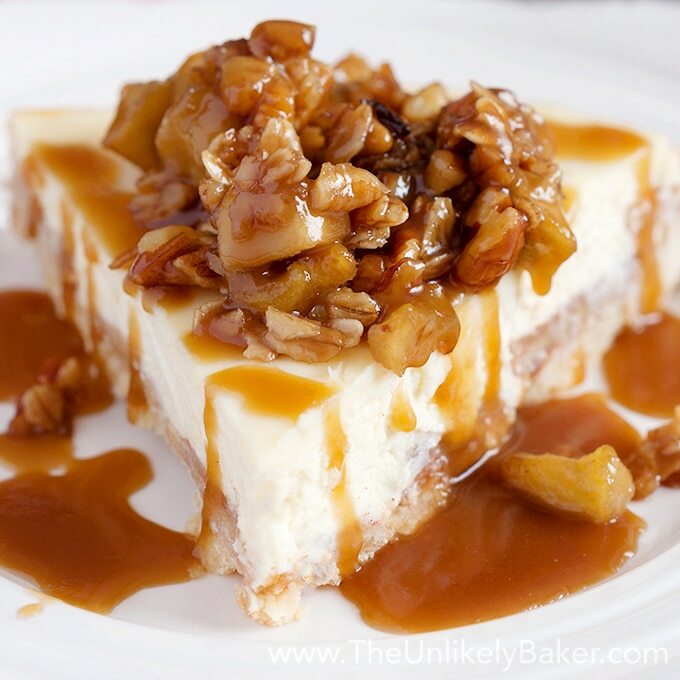 Love, love, love caramel sauce! This looks phenomenal! Salted caramel is like one of my favourite things ever! I don’t know why I never tried making my own! It’s my new favourite too 🙂 Try to make some, it’s easy I promise! I am still cautious on sweets that are too sweet, and that includes caramel. But I want to be like you and trust good friends, so I am going to try your recipes (and possibly put in on ice cream). I have never made a caramel sauce and tried to avoid everything with caramel, but this is going to change 🙂 . Looks beautiful! Isn’t salted caramel just a revelation? I would put it on literally everything if I could. 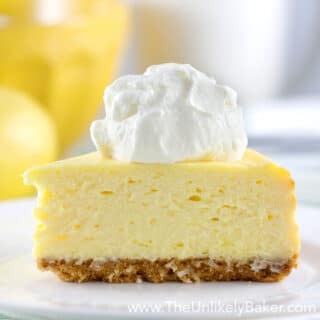 Some recipes are tricky for me – especially if they start out with melting just pure sugar which I always seem to burn – but THIS recipe seems like one I can handle! Can’t wait for the cupcakes! Yes! I went from hating caramel to loving salted caramel 🙂 And trust me, this is easy. I think the hardest part for me was deciding when it was thick enough….I’m excited about the cupcakes too! Yeah, it was really a complete turnaround. I mean, I don’t even eat Werther’s lol. Thanks for stopping by!